To complete Ellerman House’s extraordinary reputation as Cape Town’s finest address, Ellerman House Spa and culinary experiences are both of international calibre. 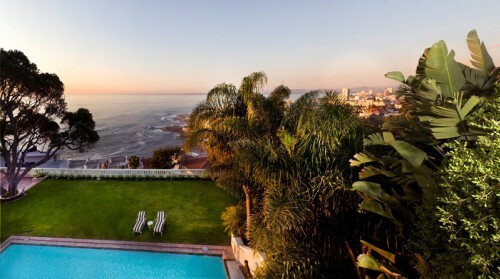 Each is open only to Ellerman House guests, providing guests with the luxury of flexibility.From its commanding position on the slopes of Lion’s Head in the prestigious Bantry Bay residential area, Ellerman House possesses one of the most sought after views in the country. The one and a half acre property has unobstructed views of the Atlantic coastline including Cape Town and Robben Island. Once the stately home of shipping magnate Sir John and Lady Ellerman, this gracious Cape Edwardian mansion reflects the elegance and quality synonymous with the finer things in life. 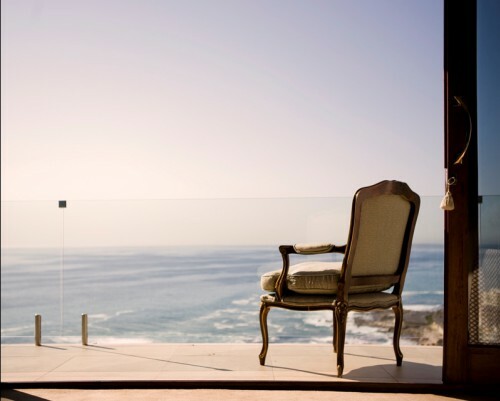 Now privately owned, the intention of Ellerman House’s current owner is to create an iconic showcase of South Africa’s absolute best standards, and to demonstrate that it is on par with, or surpasses that of, other internationally-recognised cities and properties. From the shaded verandahs and tiered gardens to the beautifully appointed interiors, the discerning guest will appreciate the highly personalised attention and yet utter privacy. Rich fabrics, fine woods and handpicked furnishings enhance its ambience and pay tribute to its traditional heritage but with a contemporary flair. 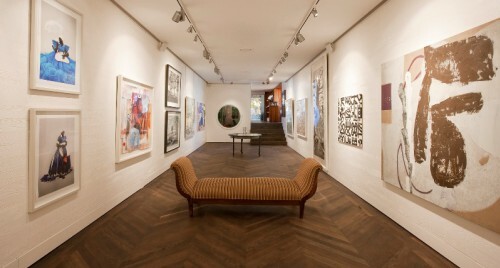 Home to one of the most important private collections of South African art; each space is filled with Masters’ works. The recently completed Ellerman House Contemporary Gallery showcases art from young and emerging South African artists. 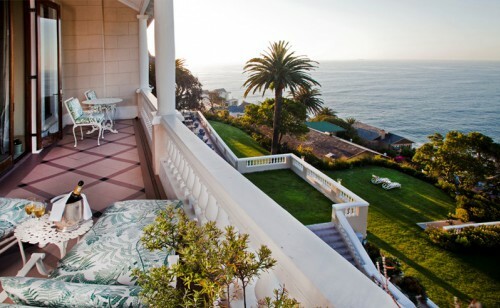 At Ellerman House, no two rooms or suites are alike – each has its own unique traits - but each is impeccably decorated with a traditional yet sophisticated style and all the modern amenities. Each room or suite varies in size, style and décor but each has underfloor heating, air conditioning, satellite flat screen television sets, and wireless internet, as well as the finest beds and linens. Bathrooms are equipped with heated towel rails and deluxe toiletries. Room and suite descriptions are detailed below. Ellerman House Spa offers over 30 treatments, including many couples’ treatments in our double treatment room.The outrageous natural beauty of Cape Town lends itself to wellness and health. Ellerman’s new Healthy Living program is a unique blend of culinary, spa and fitness programs designed to give guests a chance to unwind and detox after the trials of travel. The full-service Concierge Desk can capably craft any outing or cater to any needs during our guest’s stay.The extensive South African art collection has been recognised globally for its breadth and depth -- ranging from turn-of-the-century masterpieces to contemporary works. The art graces every orifice of the House and Villa, including the suites and rooms. It is well worthwhile to join one of the Ellerman team for a tour of the art – an experience in itself. The recently completed Ellerman House Contemporary Gallery also serves as an impromptu movie house, offering state-of-the-art sound technology and hundreds of movies viewed on the theatre screen. Add some popcorn, a couch and red wine, and you’ve got a date! 50% of full accommodation is payable if cancellations are made within 30 days of arrival. * The full accommodation account is payable if cancellations are made within seven days of date of arrival. * In the event of premature departure the full duration of the stay, as originally booked and confirmed, will apply. *Refunds of deposits/prepayments for bookings are at the discretion of management and are dependent on the ability to re-let the room/s. 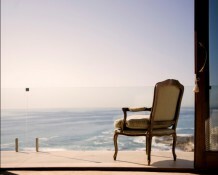 Sun-filled and inviting, this bijou room features one of our best ocean views. Guests love to sip coffee whilst gazing out of the large bay windows onto the spectacular coastline below. Touches of leather, wood and linen set the mood, while a sleek TV console and an eye-catching assortment of art provide the character. Nearby, two comfortable armchairs sit in a mini-lounge area.The Superior Room is en-suite and includes satellite TV, air conditioning, wireless internet, heated floors, and a complimentary minibar. The average room size is 30 square metres (323 square feet). Snugly adjacent to the Ellerman Spa, the Deluxe Spa Rooms have a front row seat to the serene infinity pool, which overlooks the Atlantic Ocean.These charming rooms feature double sliding wooden doors that open to a shared deck, where guests sip drinks and relax on loungers while taking in a smorgasbord of Capetonian coastline. The rooms are bathed in tranquillity with a blend of natural colours and textures, warm beech-wood panelling and heavenly scents drifting in from the nearby spa. The Deluxe Spa Rooms are en-suite and include satellite TV, air conditioning, wireless internet, heated floors, and a complimentary minibar. The average room size is 37 square metres (398 square feet). 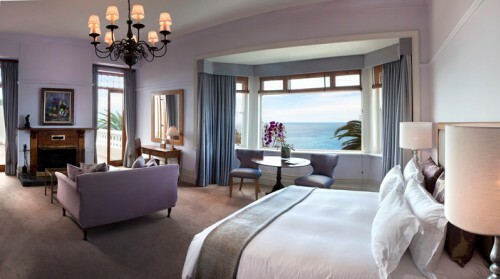 The Ellerman House Suites are the epitome of elegance and comfort, with large rooms styled in a beautiful layering of colours, fabrics and textures.Dramatic sightlines set the mood from large sitting rooms that overlook an oceanfront balcony, accessible by French doors. Guests can entertain friends in the elegant dining area, relax in the lounge, or savour breathtaking views of the Atlantic on the private wraparound balcony. 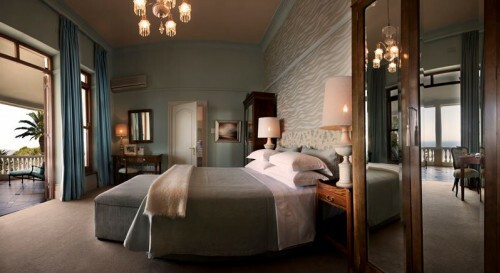 Throughout the rooms, prized paintings and sculptures by South African artists add to the stylish bravado.The Ellerman House Suites are en-suite and include satellite TV, air conditioning, wireless internet, heated floors, and a complimentary minibar. The average room size is 102.5 square metres (1103 square feet). 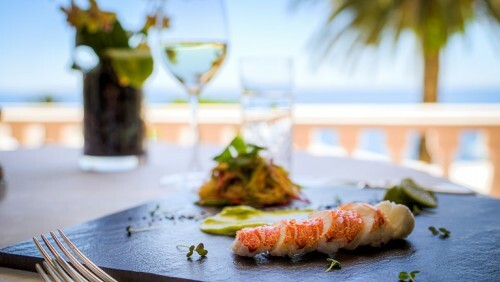 The restaurant offers an à la carte selection, which changes every day based on the head chef Veronica’s most recent visit to the Farmer’s Market. The menu is merely a set of suggestions and we encourage guests to innovate with the chef, merging their backgrounds with her’s. 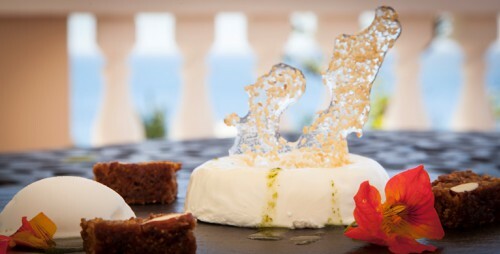 Breakfast (included in the rates) plus an all day menu and the dinner menu provide a palate of opportunity to savour the Cape’s finest ingredients and the culinary team’s artistry.Perhaps, you feel you ‘ate too much’ on safari, and now want to detox a bit? Take part in the Healthy Living program, which combines healthy menu options with fitness and spa regimes. Don’t feel pressure though, you are on holiday, and it’s a fine time to indulge. Chef Veronica has a very simple philosophy: “You need to reflect the feel of a place, my recipes are not transferable because they are based on the soul of Ellerman House. 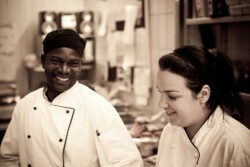 I always first ask whether I can create ingredients better in-house before heading out to buy it”. An artist at heart, Veronica believes her best work happens in the intimate confines of the Ellerman House kitchen, where the creations of her staff from South Africa, Europe, Congo and Zambia take shape. Her freedom to explore creative possibilities has pushed the boundaries of taste, often enhanced by guests who visit the “open-plan” kitchen for a chat and impromptu tutorial. But imagine you’ve had enough of the fancier things in life, and simply want a tea sandwich with a choc-chip cookie to grab and go. We’ve got you covered there, too – our 24 hour ‘guest pantry’ is stocked with homemade snacks for those with late-night cravings or the mid-day munchies. Veronica started her career in 1999 at The Mount Nelson as an apprentice under Garth Strobel and during this apprenticeship she worked at Quinta do Lago, in Almancil Portugal. After qualifying Veronica left to work in Five Star establishments in England including The Grove Resort , Hertfordshire England. She returned to Cape Town in 2008 and joined Ellerman House as Executive Sous Chef, by September of that year Veronica was promoted to Executive Chef and has worked at Ellerman House in that capacity ever since. Veronica takes inspiration from many different sources and enjoys the challenge of creating daily bespoke menus for the guests of Ellerman House and Villa. As Ellerman House has evolved so has the cuisine. 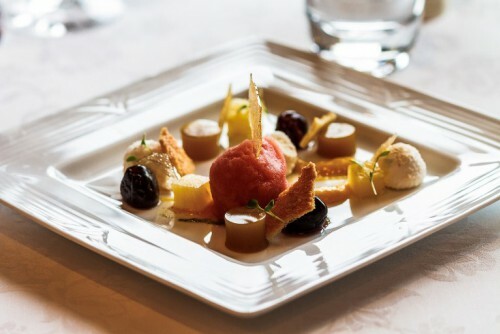 The exclusivity of Ellerman House means Veronica’s dishes have a select and very discerning audience and these are tailored to the specific guests. Veronica lives in Cape Town with her husband and two children.